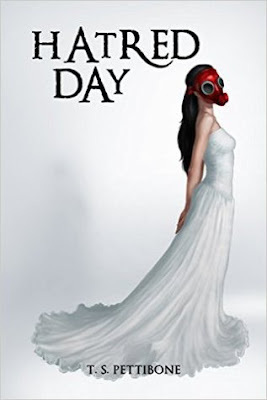 Today we join the blog tour for HATRED DAY by chatting with the authors who make up the pen name T.S. Pettibone. Hello and welcome to We Do Write. Tell us a bit about yourselves. Our names are Brittany and Nicole, and we’re probably not that different from you, in that we love stories. To start things off, we’re identical, mirror-image twins, meaning we’re opposites in many ways. For example, Brittany is left-handed and Nicole is right-handed, etc. Fortunately, we share numerous interests, including writing. We also share a deep appreciation for nature, music, films, books, cars, motorcycles and art. We can both be introverted or extroverted depending upon our environment. And we’re extreme—or dedicated, depending on which way you look at it. We’ll go inside our office, and five months and 300 cups of coffee later we’ll have a finished book. Tell our readers a bit about HATRED DAY. What’s the story about? Hatred Day is like a town filled with a hundred different styles of architecture. Readers have told us that they’ve encountered nothing similar. Our story blends science-fiction, fantasy, mystery and romance. To set the stage, we’ll give a few details about the state of the world. In the year 2052, all of humanity is unified against the Inborns, an extraterrestrial species with godlike intelligence and abilities, whose arrival on earth caused an environmental and biological crisis. The premise of Hatred Day concerns 18-yeard-old Snofrid, a girl who is part-Japanese and part-Inborn. To save her family from execution, she must take part in a hunt that will determine the fate of two worlds. But she not one of the hunters, she’s the bait. We’ve always sought to write about the deepest conflict possible in our stories. And the idea of mankind having to coexist with extraterrestrial beings provided ultimate conflict. It was Brittany who thought of the initial premise for Hatred Day, but the story grew and changed as we did over time—9 years to be exact. Before publication in January 2016, it progressed through several titles and dozens of rewrites. Only two or three original story beats exist in the published novel. We’re plotters! Before we touch a keyboard, we outline. Our outlining process is detailed, but we do leave room for spontaneity. When we’re in the thick of writing, often times we realize simpler or better ways to execute plot. Expectation. We tend to put immense pressure on ourselves, which largely stems from the desire to do justice to the characters, the story and the world we’ve spent so many years planning. Our King Charles Cavalier, Sherlock. And a tall mug of coffee. We both immediately decided on infused knowledge, meaning we’d want the ability to look at something and know instantly what it is and how it functions. But since we both chose this power, Brittany changed hers to the ability to speak to animals. Brittany has googled the question: How far can your heart pump blood? For anyone who’s curious, the answer is that the pressure your heart generates is strong enough to squirt blood 30 feet across a room. Nicole has googled music to make her dog fall asleep. I've done that too. I found a clock ticking works sometimes. Brittany: If I'm not writing, I'm probably exploring. Nicole: If I'm not writing, I'm probably thinking about writing. Firstly, we need to thank our Mom and Dad! Without their loving support and unwavering confidence, we likely would have never realized our dream of being published. 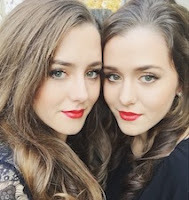 We want to thank our younger sister, Isabella, for brainstorming with us, and our first-ever fan, Juliette. Lastly, we want to thank our editor of three years, Matthew, whose constructive criticism, hard work and infinite patience will forever be invaluable to us.